One of the simplest and most popular ways of adding a focal point to the garden is by using garden decor. Try and keep the spheres fitting with the theme of each particular part of the garden. The human eye has a very strong connection with circular forms. 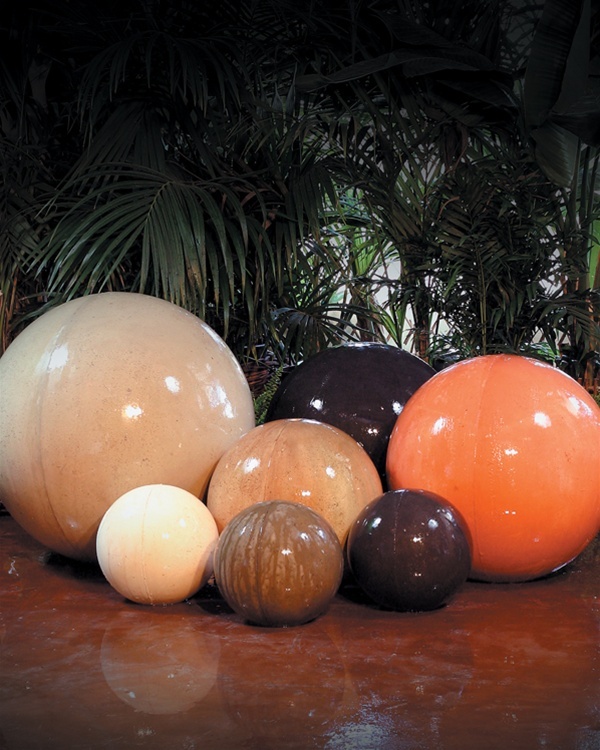 Adding one or more spheres to specific places in your garden will draw your guests into those areas as well. DIA 12" | 20 lbs. DIA 18" | 60 lbs. DIA 24" | 100 lbs. DIA 30" | 158 lbs. DIA 36" | 230 lbs. DIA 48" | 385 lbs. Made from Glass Fiber Reinforced Concrete(GFRC), for a considerable weight savings over traditional cast stone features, without compromising on durability. This sphere is available in 37 different finishes to better suit your unique style. GFRC products are warranteed to be free from defects in materials and workmanship under normal use and service for one year from the original date of purchase.